Self-Plus-One option is now available. The Federal Employees Health Benefits (FEHB) Program helps you and your family meet your health care needs. Federal employees, retirees and their survivors enjoy the widest selection of health plans in the country. You can choose from among Consumer-Driven and High Deductible plans that offer catastrophic risk protection with higher deductibles, health savings/reimbursable accounts and lower premiums, or Fee-for-Service (FFS) plans, and their Preferred Provider Organizations (PPO), or Health Maintenance Organizations (HMO) if you live (or sometimes if you work) within the area serviced by the plan. have been continuously enrolled (or covered as a family member) in any FEHB Program plan (not necessarily the same plan) for the five years of service immediately preceding retirement, or if less than five years, for all service since your first opportunity to enroll. If you die while a compensationer, your family members can continue your enrollment if you were enrolled for Self and Family or Self + One at the time of your death and at least one of your covered family members receives compensation as a surviving beneficiary under the Federal Employees’ Compensation law. At least one family member must be entitled to an annuity as your survivor. All of your survivors who meet the definition of “family member” can continue their health benefits coverage under your enrollment as long as any one of them is entitled to a survivor annuity. If the survivor annuitant is the only eligible family member, the retirement system will automatically change the enrollment to Self Only. Your surviving spouse should follow up with OPM to insure this action was taken. If it wasn’t, your spouse will be paying considerably higher Family Option premiums. Under FERS, your surviving spouse who is entitled to a basic employee death benefit, or your surviving children whose benefits are offset by Social Security, may continue your health benefits enrollment by paying premiums directly to OPM. If the survivor annuity is not large enough to cover the enrollee share of the premiums for your plan, your survivors may either change to a lower-cost plan or option (one in which the enrollee share of the premium is low enough to be withheld from the annuity) or choose to pay the premiums directly to the retirement system. Even if your employing office thinks that the survivor annuity will not cover the enrollee share of the premiums, your retirement system will transfer in the enrollment. The retirement system will notify your survivors of their options and take whatever actions they request. When your surviving spouse will not receive any survivor benefits because your former spouse has a court-ordered entitlement to a survivor annuity, your surviving spouse can continue FEHB coverage if you had a Self and Family enrollment. The retirement system will notify your surviving spouse of his/her options and take whatever actions are requested. When the retiree’s spouse is not a federal employee they will most likely need FEHB coverage in retirement. 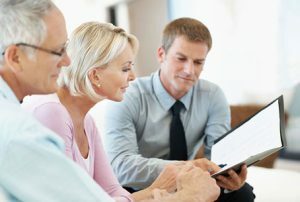 The rules are different for CSRS and FERS employees and this is a major consideration for federal employees who intend to retire and leave their spouse other than a full survivors annuity. Under CSRS your spouse will be eligible for FEHB coverage as long as you provide them with a survivors annuity. It can be any amount. In my opinion it is best to provide a survivors annuity large enough to cover FEHB expenses however it isn’t necessary. If you elect a survivors annuity of $3600, enough to cover many plan costs, your annuity will be reduced by 2.5%. FERS retirees must elect either 50% or 25% survivors annuity for your spouse to be eligible for FEHB coverage in retirement after the annuitant’s death. The 50% election will cost you 10% of your full annuity and the 25% survivor annuity election will cost you 5% of your full annuity in retirement. CLARIFICATION: We receive a number of questions from site visitors about spousal FEHB coverage in retirement. A spouse of an annuitant can continue coverage under the annuitant’s FEHB plan after retirement when an annuitant doesn’t elect a survivor’s benefit until the annuitant’s death. After the annuitant’s death, the spouse can no longer continue FEHB coverage since in this case the employee did not elect a spousal survivor benefit. Reference OPM’s “Guide to Federal Benefits.” A federal employee MUST elect a minimum survivor’s benefit for the spouse to be eligible for FEHB covered after the annuitant’s death. If you cancel your FEHB enrollment as an annuitant, you won’t be able to reenroll in the FEHB program. There are no exceptions for other employment insurance. However, there is an exception if you suspend your FEHB enrollment because you are now covered by a Medicare Advantage plan, TRICARE, CHAMPVA, Medicaid or similar State-sponsored medical assistance program, or Peace Corps Volunteer coverage, you can restart your FEHB in the future. Annuitants can call OPM’s Retirement Information Office at 1-888-767-6738 to obtain a suspension form. Callers within the local Washington, DC calling area must call 202-606-0500. A suspension form must be completed by eligible individuals and must provide all necessary documentation to show eligibility for TRICARE or CHAMPVA during the period beginning 31 days before and ending 31 days after the date they designate as using TRICARE or CHAMPVA instead of FEHB coverage.